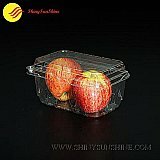 We design the best quality affordable plastic containers packaging products for every type of use. Attractive and convenient in every size, shape, colors and supplier in a wide selection of styles. We can also do your customized logo branding.